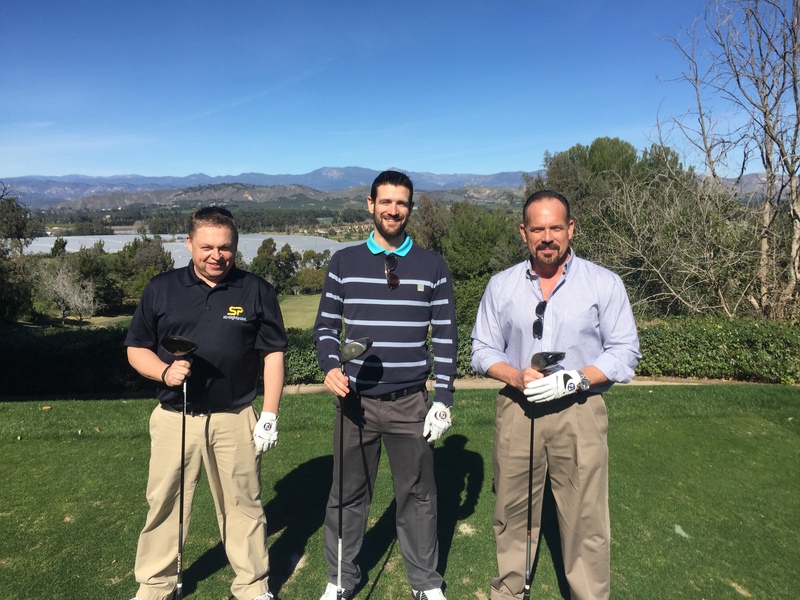 Mr Loadlink has returned from North America, where he welcomed a new recruit, visited the Auto Club Raceway and continued his winning run on the golf course. North America is one of our hottest markets, as last month (February) proved. While John Molidor, general manager; and Aaron Orsak, technical sales engineer, at Straightpoint Inc., were at a topsides-themed event in Texas, the new operations manager of the subsidiary, Myron Jones, and I strategised at Camarillo, California HQ. The increase in our U.S.-based personnel—Tressie LaBass, customer and sales support administrator; and Johnny Gonzalez, technician, make up Team America—is indicative of the growth we have achieved but, more importantly, serves as a statement of intent. We are serious about making the lifting industry a safer place. 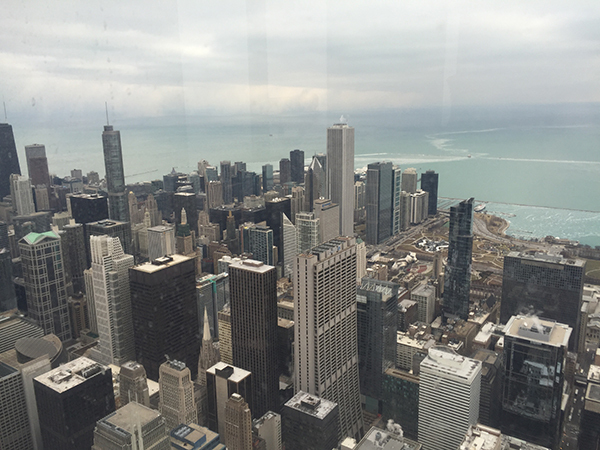 The Windy City was the backdrop to a number of productive meetings in February. 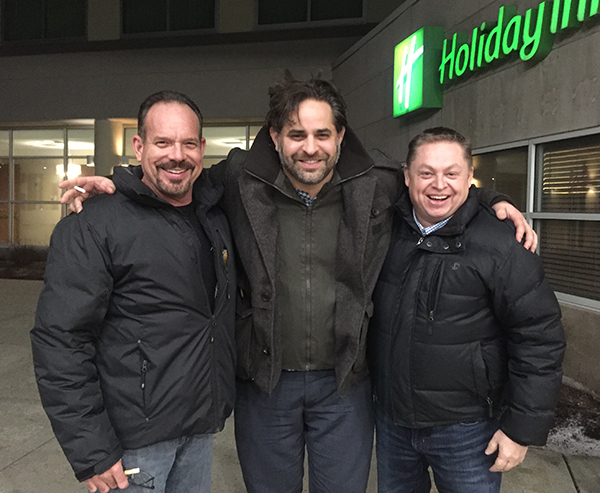 Windswept with Camron Ghanemi, of Ace World Companies (centre) and John Molidor during a networking evening in Chicago. Gazelle companies are awash with opportunity, but the challenges are often underestimated. A lot of it is about timing. A rapidly growing manufacturing business needs infrastructure, personnel, product availability, world-class customer service and more to keep up to speed, but implementing strategy prematurely or growing a team too quickly can be counterproductive. Industry has noted that Myron, our newest recruit, is a former CEO of a very successful company, and a manufacturing leadership heavyweight. Straightpoint Inc. has reached a stage in its development where we need such expertise to pioneer continued growth, particularly when our A-Team needs to be in two places at once. The recent Topsides, Platforms & Hulls Conference & Exhibition in Galveston, Texas, was a good example. John and Aaron were busy raising the profile of the new IECEx version of our most popular product, the Radiolink Plus wireless load cell, while Myron and I were dotting the i’s and crossing the t’s of our latest business plan. As our press release announcement about Myron’s arrival covered, he has been at the helm of a business operating at about $300m in annual revenue, but that taught him as much about the importance of sound planning and rolling with the punches as it did keeping balance when riding the crest of a wave. Myron speaks with experience. He knows what it is to grow at over 20% per annum in sales and reinvent company structures to target new business. We’re not about to initiate any seismic shifts, but we do have a proven ability to react to the demands of the market. Adaptability is going to be key to success under the leaden skies of the lethargic oil and gas sector. The launch of the new IECEx version of our most popular product, the Radiolink Plus wireless load cell (or explosion proof dynamometer, as it is more commonly referred to in North America) was well received at Topsides. Regardless of the price of oil, the industry will continue to embrace safety systems and that’s exactly what our Zone 0, 1 and 2 product is. True, even the optimists at the show don’t expect the oil and gas market to return to buoyancy any time soon, but orders for safety-based equipment continue to rise alongside large-scale orders for heavy-lift applications. Topsides only reinforced our theory that the steady flow of standard orders, that are typical in an industry running on full cylinders, will not return for a while. It means we will increasingly promote load cells to construction, salvage, decommissioning, entertainment and other markets. Myron will help us position our business to do so. A recent case study about 40 10 ton compression load cells monitoring forces on temporary shoring columns used to support two tower cranes during the Century City Mall project on Santa Monica Blvd., Los Angeles, California, serves as a good example of diversification. Construction and structural monitoring projects like this will become increasingly common, which is a trend that fits well in the business plan given the volume of units and site duration that is typical with such work. In the UK, we are involved in a particularly innovative below-the-hook device for use on tower cranes which, again, is distanced from oil prices. 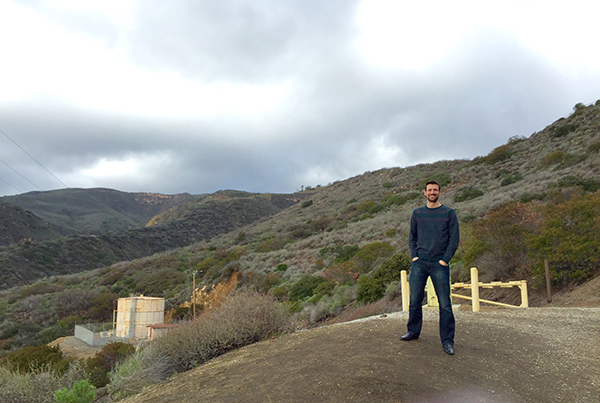 Fellow Englishman Dave Mullard enjoys cloud cover in usually sunny California. 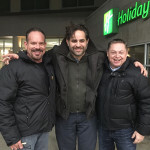 It was opportune to involve Dave Mullard, our new business development manager (and big pound-for-pound industry puncher in his own right), in my latest trip across the Atlantic. Many businesses wouldn’t have justified the cost of the flight but it would have been ignorant not to take the opportunity to introduce him to the stateside team, having joined the UK operation at the turn of the year. I blogged last year about an article I read outlining the importance of what the author called “quiet hours” away from the pressures of modern day life. I guess it’s another way of putting the Work Hard, Play Hard adage. 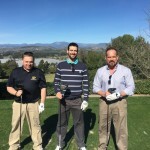 With such personal development in mind, Dave completed the teams for a Texas Scramble on the golf course, where Myron and I took on (and beat) him and John. Winning isn’t everything, as I reminded the losers after the game, but it was great to continue my streak having lifted the Load Cell Golf Cup last year, defeating Gary Mullins, of Action Coach; and LCM Systems boss Steve Sargeant, in very different, English conditions. 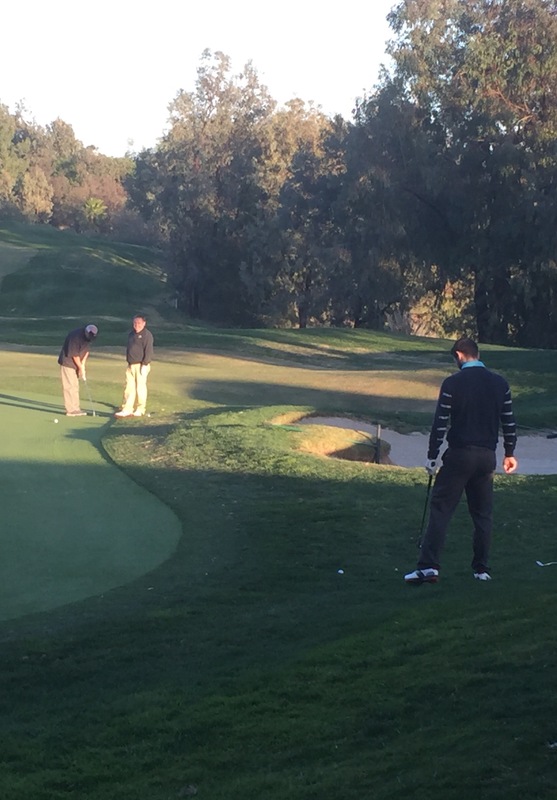 Lining up with Dave Mullard (centre) and John Molidor (right) for a game of golf. 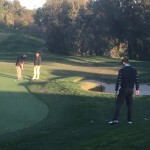 : Lefty Myron Jones sinks another putt on our way to victory over John Molidor and Dave Mullard. 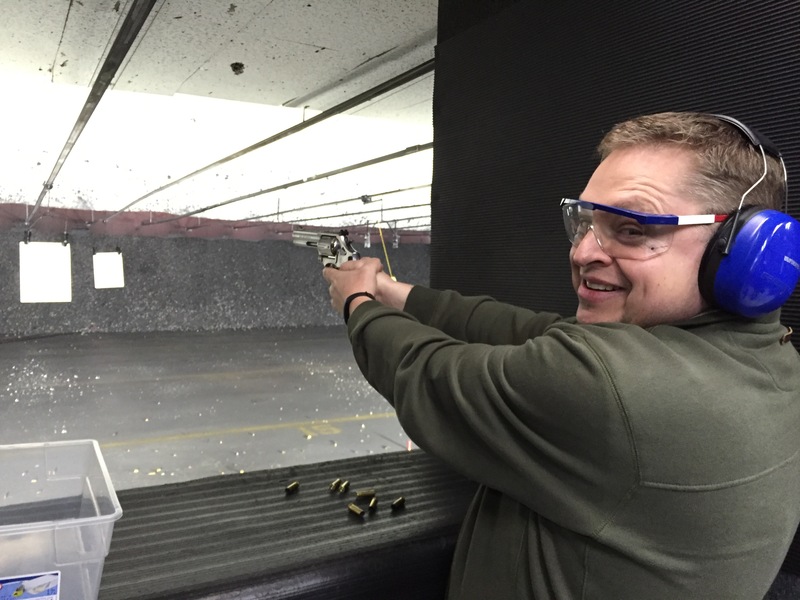 Dave Mullard is on target at the firing range. Such extracurricular activity was abundant last month. 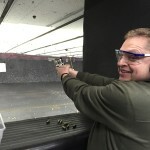 Next, Dave and I joined my good friends Richard and Paula Sharpe, of Intelligent Weighing Technology, to let off some steam at a shooting range. 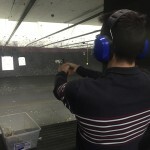 It’s amazing how firing an assault rifle, pump action shot gun, a 9mm pistol and a .357 Magnum revolver (the latter was my favourite) can calm the soul. Another memorable day out was at the Auto Club Raceway in Pomona, owned by the National Hot Road Association, where I joined Johnny, John and his son, Michael Molidor, to purr over the drag racing cars. I’ve had to put a lot into words for this blog in recent years but I’m honestly struggling to capture the sound and speed of these extreme machines, which can go from zero to over 325mph on their quarter-of-a-mile track. Best I can do is… Whoosh! As Dave returned to the UK (he’s since been seen with a bucket of balls at the Waterlooville Golf Course driving range), Aaron flew into town from his Houston base so the whole U.S. team could sit down and somewhat belatedly go through the final 2016 business plan. The buzzword is the same on both sides of the pond—Growth. I’m confident we can achieve another set of ambitious targets by further equipping our existing distributors to penetrate new markets and seeking new business. I’d advise other companies in a similar position (many of us are insulating against the same climate) to look at the finite details. When was the last time you checked the online catalogue of your distributor network? It’s remarkable how many I look at in other sectors who are carrying out of date kit. In our case, that would mean the IECEx Radiolink Plus would be effectively invisible to that distributor’s audience. Imagine the disconnection with the positivity generated at Topsides. As an aside, I take it as a huge compliment when I look at our website data every week and see so many competitors looking at our web pages. 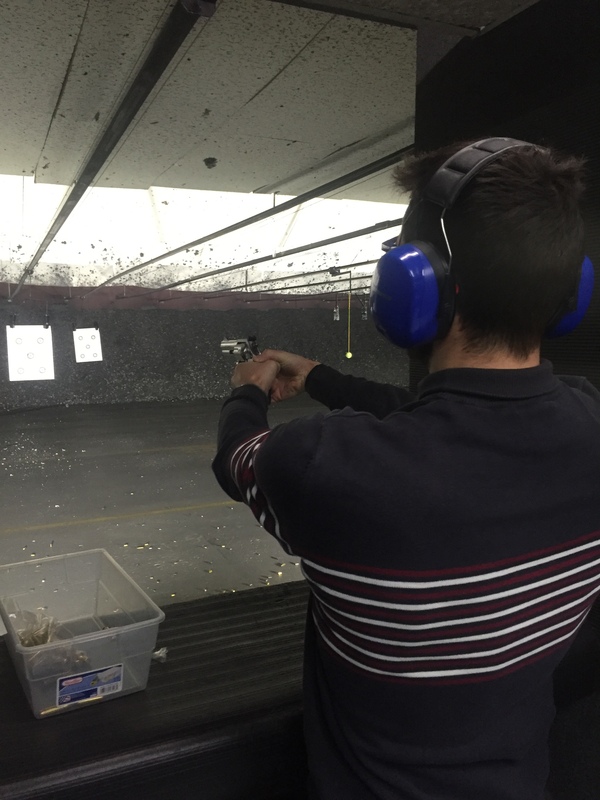 Meanwhile, during a hectic February, I spent a couple of days in Chicago spending time with Ace World Companies vice president, Camron Ghanemi, who has facilitated the use of our equipment in a number of notable applications recently. 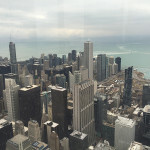 I also squeezed in a couple of meetings with prospective partners in the Windy City. Enjoying a meal with Steve Torres, ?CEO at Group Four? 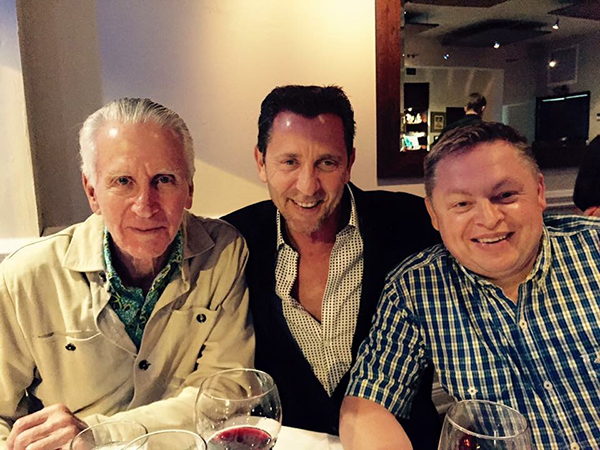 Transducers Inc., (centre) and his father, Sidney. The month concluded in astronomically expensive Miami, Florida, where I spent some time with Steve Torres, CEO at Group Four Transducers Inc., based near Boston in Massachusetts; and 3S Fabrications Pvt Ltd, of Sri Lanka. Remember, Steve and his team were part of the consortium that developed a new product for measuring tension on lines recently launched by Straightpoint, the Running Line Dynamometer (or TIMH), part of our tension in motion range. It was good to gather more intelligence on the marketplace from someone at the coalface. Johnny Gonzalez is flying to the UK for training next week before I travel east again to a number of regions, where I’ll get a new stamp on my passport in Labuan, a federal territory of Malaysia off the coast of Borneo in East Malaysia. So there’ll be lots more to talk about next time, no doubt. Follow us on Twitter—@LoadCell—and use the hashtags #loadcell and #belowthehook.